It was early 2008 a few women motorcycle enthusiasts wrote in and asked “don’t you have any t-shirts?” referring to International Female Ride Day. And from that point on, we developed the yearly collectible International Female Ride Day tee! It’s become an icon in itself with women (you know who you are) purchasing and proudly wearing this limited edition t-shirt on this special JUST RIDE day. 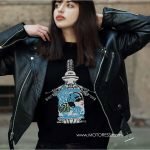 Further women have decided it’s a collectible and commemorate their participation each year not only riding but adding the t-shirt to their collection. This year, we’ve developed the t-shirt using our signature bamboo which is moisture wicking, UV resistant and anti-bacterial for those with skin sensitivities. We’ve had great success with our bamboo especially for women riders – under your motorcycle jacket. This year’s iconic logo has been incorporated into the design- and the bright green combined with our MOTORESS blue just beams fun, safety and colour! We find this truly is characteristic of all the incredible women riders we’ve come to know around the world! There’s limited stock of course – this is a one off item. It’s available exclusively in our shop ‘shopmotoress.com’. And if it’s not important to have this collectible, we can assure you, the bamboo is a fabric you’ll truly love! Looking forward to receiving your pictures you fabulous women riders on International Female Ride Day – Friday 4 May – JUST RIDE! 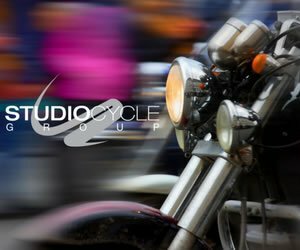 Join our International Female Ride Day Facebook global group to connect with other women rider plans for International Female Ride Day!